Hello there YAY is Friday and I have the day off. And I am spending it with a sweet friend who’s coming over to play. I have a yummy lunch prepared and a sweet treat so we can just enjoy ourselves creating, I cannot wait!! Is Clair’s HAPPY DAY today another of my dear Passionettes!! Clair lives all the way down in Brighton and we very rarely get to meet, she is a fabulous crafter and her workshops are very popular. Her favourite colour is yellow and boy do i like it as well. Is bright and warm and it makes you stand out a mile long when wearing it. The card I made her was inspired by one I have seen on Teneale’s blog a while ago. I almost wanted to case it entirely it was so beautiful, but I refrained from it and went at it my own way. Did your eyes danced just then? it is bright and quite busy but I like how it turned up. 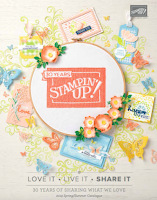 The Stampin Up mini catalogue is full of delicious stamp sets and the Sew Lovely stamp set is one of them, very trendy as well. The medallion stamped in black was positioned behind the main panel. I used another gorgeous stamp set that I cannot seem to work well with inspite of loving it lots is the new French Foliage stamp set. I got this set free from Stampin’Up! when the mini came out (yes as a demonstrator I earn nearly all my stamp sets for free and you can too just ask me how), and every time I set to make something it ends up wrong, I will persevere though. The gorgeous designer paper used to piece one the manikins is from the Greenhouse Gala collection and the black and white on from the Newsprint collection. I have used Sahara Sand ink for the script text and basic gray and basic black for everything else. Sentiment is from the fabulous Curly Cute stamp set, daffodil delight satin ribbon tied in a full bow adds a touch of opulence. I hope you all like it but more importantly I hope Clair likes it, have a fabulous day Clair and HAPPY BIRTHDAY sweetheart !! Gorgeous card Monica, I love it. The yellow and blue/black colour combo. Utterly fabulous, what a gorgeous card! I LOVE the medallion poking out at the side, must try that, very inspiring Monica! I am so not a yellow lover but this card is so striking! both cards are **gorgeous**. I had the pleasure of meeting Teneale at the SU convention, SLC, Utah, recently [& her mom]. It was such a delight, too!